While recent years have produced some fine performances of Lincoln, Washington, Adams, Jefferson and other “big names” in Presidential history, the thirtieth President and his beloved First Lady are not without a list of impersonators. 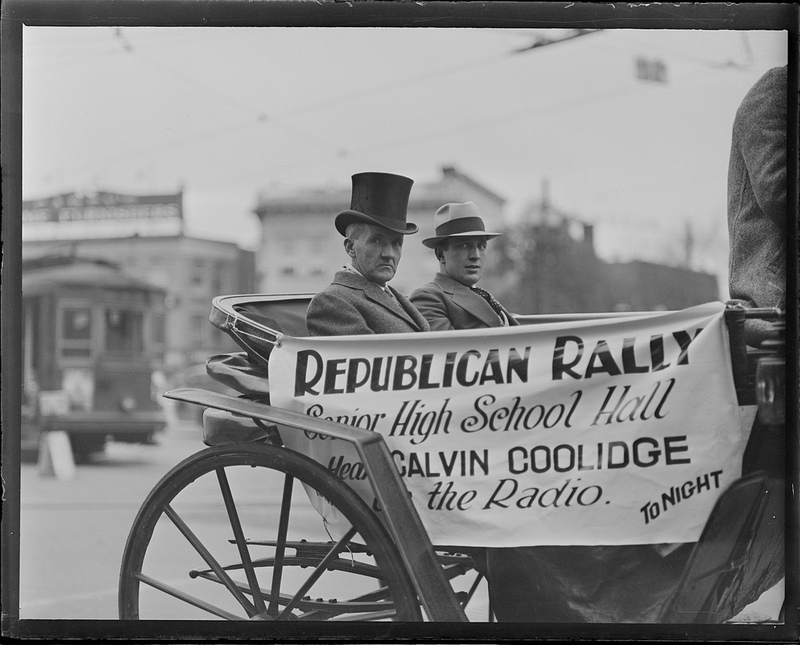 Here Herbert A. Turner of Cohasset, deliberately emulating President Coolidge, campaigns through Quincy during the 1924 campaign. For the President’s security, a body double was used from time to time. This man hailed from Springfield, Massachusetts. Of course, Grace had a body double also. 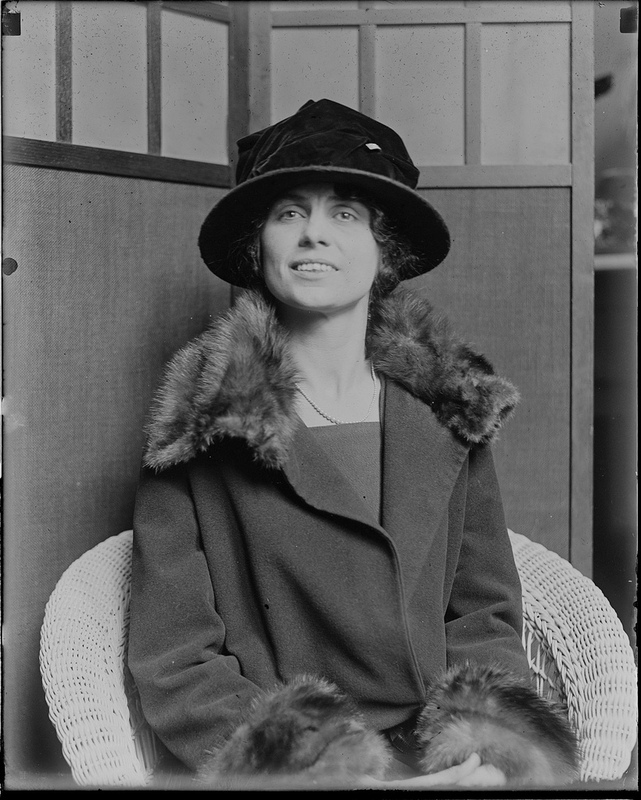 This woman was from Boston. 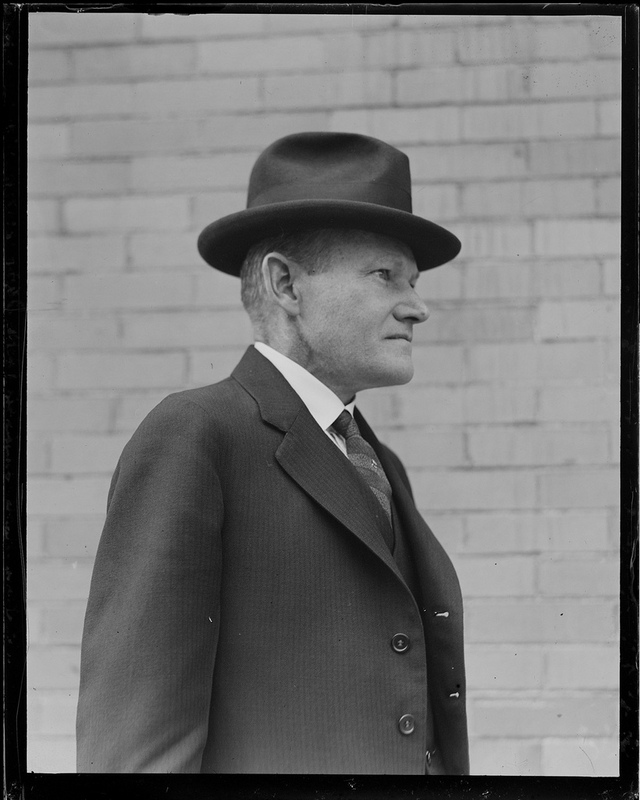 Then there were those, like actor Lucien Littlefield, who were persuaded to pose as the President after a fellow cast member observed the resemblance to Coolidge while they filmed Uncle Tom’s Cabin in 1927. 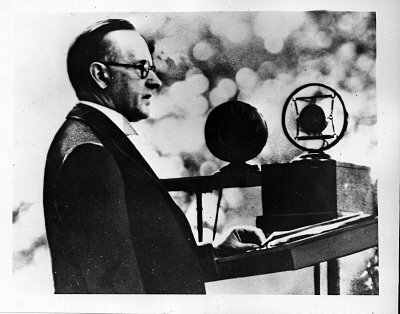 Littlefield gladly obliged to be Calvin Coolidge for the photographer. 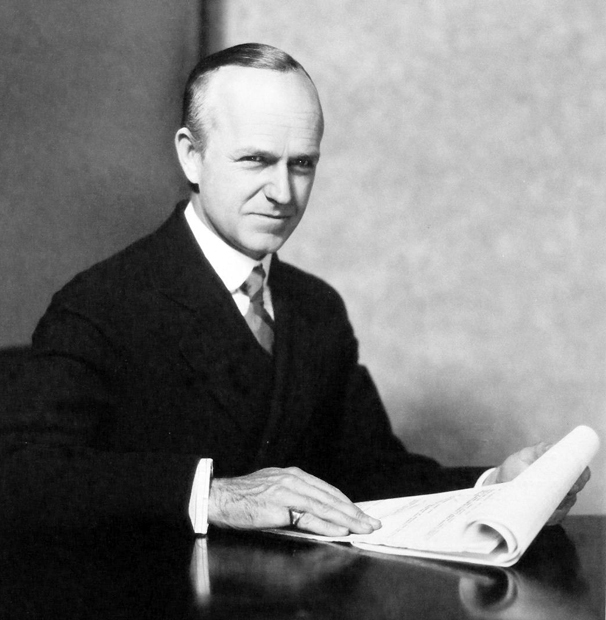 Since then, Ian Wolfe took up the role of President Coolidge in The Court-Martial of Billy Mitchell in 1955. 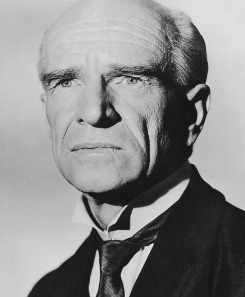 Wolfe had portrayed a Chief Executive eight years before in California (1947), playing James K. Polk. 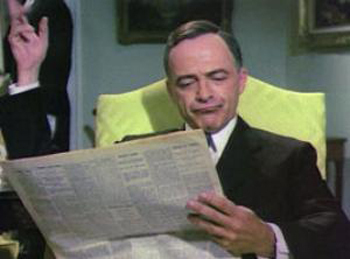 In 1979, a TV mini-series called Backstairs at the White House depicted life through eight administrations, including a brief look at the Coolidge era. 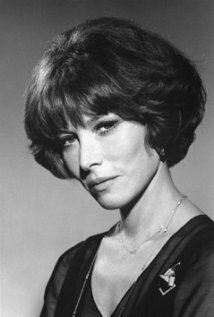 Ed Flanders played the President and Lee Grant Mrs. Coolidge. 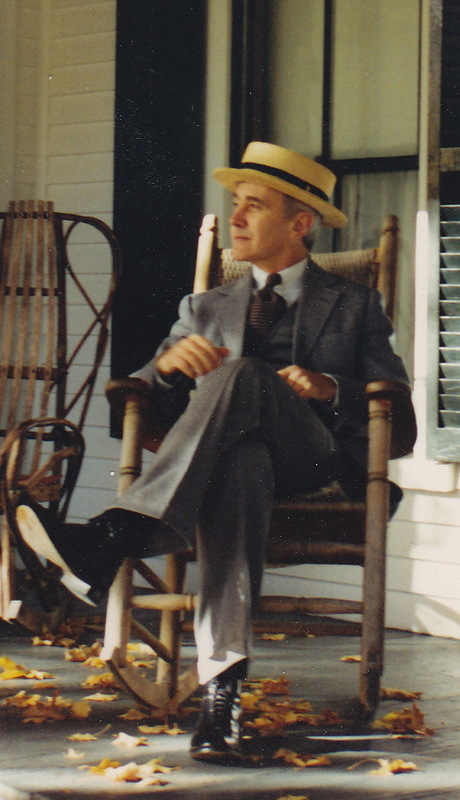 Last, but by far, the best portrayal of being Calvin Coolidge belongs to Jim Cooke. 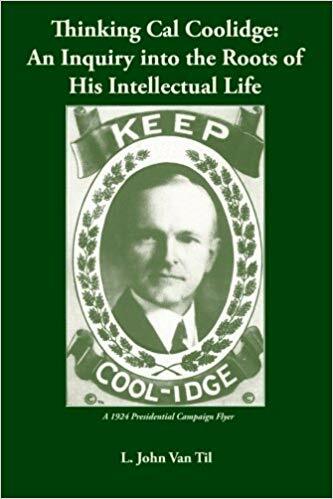 Having studied “Silent Cal” so devotedly over four decades, he proves how worthy his subject is for a renewed appreciation, perhaps now more than ever. 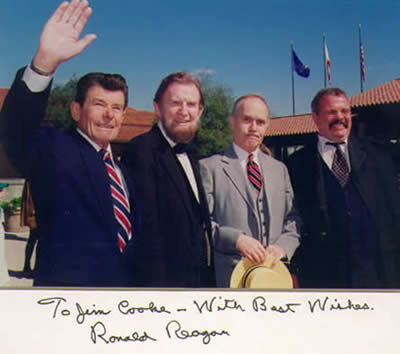 He is not merely “another impersonator” but is a teacher, a dear friend and a good man. There is no quantifying the good influence he continues to exemplify for me and many others, through keeping the flame lit for so undeservedly an underrated President. His “More Than Two Words” presentation of a not-so-silent Cal restores a “lost” and worthy chapter of our history from an institutionalized neglect in far too many history classes. Please visit his fascinating page at http://www.crankyyankees.net. ← Congratulations to the Red Sox!